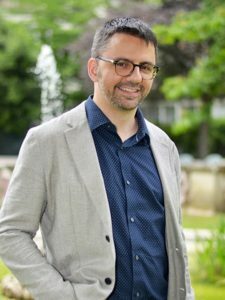 CNRS Bronze medalist for 2018, Michel Thiebaut de Schotten is Director of Research in neuropsychology and brain connectivity neuroimaging. His arrival at GIN-IMN, long-time planed, is scheduled for September 1st, 2019. Winner of the prestigious European Research Council Fellowship « Consolidator grant », this funding will enable him to constitute a new research team within the GIN and to carry out an innovative scientific project. The European Research Council (ERC) aims to support the best and most creative scientists to identify and explore breakthrough research opportunities. ERC Consolidator grants are designed to support researchers at the stage of consolidating their own research team. Consolidator grants can be awarded up to € 2 million for a period of 5 years. The evaluation criteria are particularly selective. They relate to scientific excellence of the project leader but also on the originality and the ambition of the project, the demonstrated methodological qualities or the potential of the consequences. 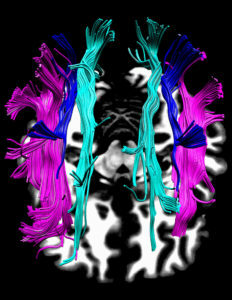 The objective is to (1) establish a comprehensive atlas of the function of white matter for the whole human brain, (2) fractionate the stroke population according to disconnection profiles, (3) predict neuropsychological symptoms based on disconnection profiles, and (4) characterize and manipulate the fine biology involved in the disconnection recovery.